What gives you the right to put someone in a situation that makes their palms sweat? 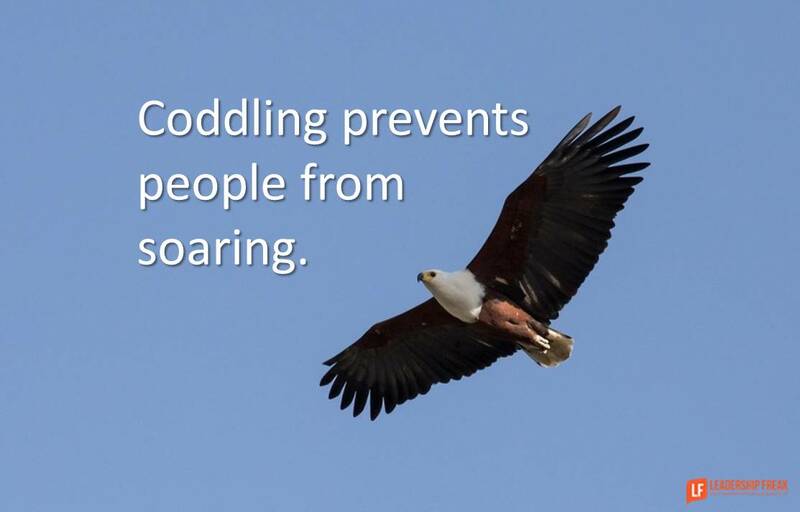 Coddling prevents people from soaring. Compassionate challenge – challenge while protecting from permanent harm – always takes people further than coddling. Coddling is more about our need to feel superior than what’s best for others. Coddling harms others for selfish ends. The result of believing in people is challenging them. Coddlers don’t believe in people. Transparency. Hiding intentions is unethical, regardless, if they are positive or not. Knowledge. You must know a person’s goals, strengths, and aspirations in order to challenge them ethically. Influence turns to manipulation when you secretly work to change someone. Additionally, unethical goals make any form of influence unethical. Intention. Ethical challenge always works to advantage others, even if it feels disadvantageous at first. Alignment. In organizational life, any form of challenge that works against organizational success is unethical. If you are wildly superior to someone – in a different category – manipulation might be ethical. Manipulation of children by loving parents might illustrate the point. But the danger for leaders is obvious. The temptation of leadership is confusing authority for superiority. It’s dangerous to challenge others while sitting on the heights of superiority. What role does challenging others play in leadership? How might leaders challenge others ethically? What happens when you challenge people? Self-judgment. Are they hard on themselves? Anger at you. Some feel you have wronged them when you challenge them. Perhaps they feel you aren’t fully on their team. Maybe they don’t believe in themselves. What is “coddling”? I know what Webster defines it as – but in the context of a business what is coddling? Thanks John. Coddling is protecting people from challenge/stress/failing while reaching high. What do you think? We challenge our workers to broaden their horizons, enhancing them with opportunities to grow into leadership positions, this can also add value to our clients. At the same time these help them to realize what they are capable of, ” push a little for a greater reward”. Once individuals have faith in themselves at work or home they begin to see a far better picture of where their journey can take them. Brilliant! Thanks Tim. I love how you included both organizational and personal benefits. Tim I would also add in the classroom. Compassionate challenge. Love the term. If you aren’t challenging people you aren’t growing them. If you aren’t growing them, you are leaving them behind. Is that compassionate? No. Compassion is challenging people. It means you care. Our team regularly challenged each other. We put ourselves, and each other into stressful situations to stretch ourselves. But we did so with an element of safety. We created an environment where people could stretch, without breaking. And once you create that environment people start stretching themselves even more. Wow! Love the team context of challenge. Thanks Alf. Making it safe to stretch ourselves and each other seems essential to remarkable success. Thanks for this post. Very valuable information that can be applied to practically any relationship or team context. This post had my brain bouncing all over the place… I thought of leadership, parenting, managing and religion. Interesting. If you are knowingly putting someone in a position of “making” their palms sweat, could this not be translated to be a form of intimidation? I would hope none of the 4 you mention would make palms sweat. If so, could it be with the wrong people? On “coddling”, doesn’t everyone need a degree of this at some point? The hard part is then for the “coddled” to let go of the “coddler”. If “coddling” (helpfulness) is gauged at the correct level, it does not necessarily prevent people from soaring, it could be a form of encouragement, encouragement for the “coddled” to soar, if they are willing to let go of the “coddler”. I realise some people may require to be challenged, as in someone else has to set a challenge for them, I always kinda find this hard to understand, I believe that challenge should come from within a person’s own inner drive, willingness to set their own goals. Every challenge as with everything, should be “ethical” and certainly never achieved if manipulated, wouldn’t even consider it an achievement if it was done via manipulation. Although I suspect, this may not always be the case, sadly. “What role does challenging others play in leadership? How might leaders challenge others ethically?”I would suggest the leader leads by example and works with, alongside the “challenged” to achieve. Having worked my way up the ladder working beside and with the people we now lead is humbling and rewarding. Watching, teaching, learning with them everyday has been a true blessing for me that I’m ever thankful for. The “sweating if the palms” can be a sign if nerves when we challenge some one out of their comfort zone, we as Leaders need to assure them things will work as we are with them. Thanks Tim. I do like to hear of people, see people that have “worked” their way up the ladder, grown, earned the rung they are on so to speak, as well as acknowledging the people that they have worked alongside during each rung, they have and always will have my utmost respect. I understand the challenging of people outwith their comfort zone but I still find it hard to accept why individuals require to have someone else challenge them, bring out the drive in them, why it cannot come from within a person in their own individuality. True, we all challenged ourselves when climb the rungs. I will add, I don’t like the idea of purposely placing people in “stressful situations”, organisations, people within organisations would need to be very, very careful of doing this. I’d say we challenge people who need it. Meaning Change what needs changing; not just what’s Easy. Complacency is all around us; like the racing horse you just want to put the blinders on sometimes and run. But as a team you will build by coaching those around you to be less complacent. 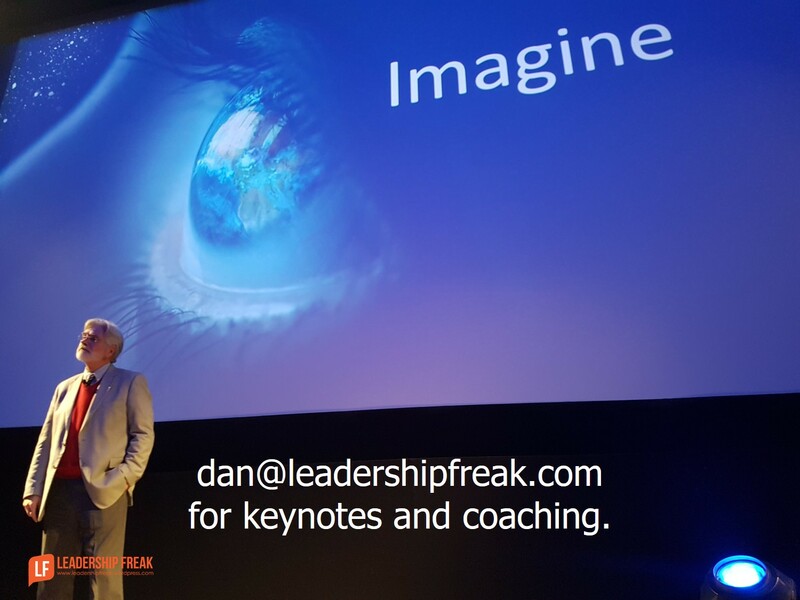 Of coarse the fact that you are a leader and have vision helps you know that you need to do this. Coddling is a form of allowing people to resign themselves to the “Tar pits.” Sinking and allowing others to sink is not forward thinking. So thats why In my opinion you would help others. If your not changing; your dying. If your not trying to encourage others and grow your team; there not getting better or stronger. So if those around you don’t want to be challenged it might be that they need to find another opportunity. The thinker is probably one who enables coddling. If nobody did anything that is uncomfortable, not a whole lot would get done. Anyone that has been successful had to handle a “stressful situation,” They have to fly sometime. Coddling, in my judgment, is not necessarily protecting people from failure but protecting them from the discomfort needed to make forward progress. We see this all the time and education where teachers know that they need to change their approach but are so stuck in their ways that they would rather sacrifice learning for convenience and comfort. Largely, putting people under stress isn’t about challenging people, it’s about identifying people who appear able to tolerate it, then using them to get the job done. If they survive, load more on them, if they fail, they weren’t up to the job anyway. None of this is about developing/growing people, it’s about building the bottom line by using your assets to get the job done. Hi Dan. I was glad to see the last point: 5.Anger at you. Some feel you have wronged them when you challenge them. Perhaps they feel you aren’t fully on their team. Maybe they don’t believe in themselves. I am actually dealing with this situation currently. I wonder if you could provide some insight on this topic? Some strategies for dealing with this?